RV battery monitor Trek is a smart battery monitor able to learn the actual battery capacity with time and provide more accurate feedback to the user. It combines comprehensive battery data together with water tank level measurement on one screen in a sleek design. Trek is designed to work with BatteryPlus35 battery management system. 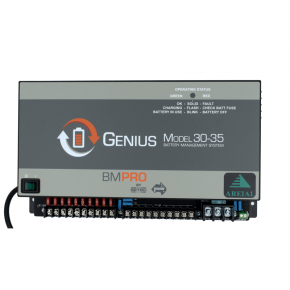 Connected to the BatteryPlus35 via CAN bus, it continuously monitors information providing vital data at a glance. Trek monitors and displays vital battery information such as volts and amps, charge and discharge status, auxiliary and solar currents, as well as remaining battery capacity. It displays information on water tank levels and controls two water pumps with an on/off switch. The user can also quickly and easily isolate the battery from loads with the battery isolate button. Backlit LCD display looks stylish and is easy to read. One can also use the backlight as a night light. Trek requires installation by certified installer and has two mounting options (flush / half recessed). We offer multiple front fascia colour options to suit the design of your van. Can the Trek be used with power supplies other than the BP35? The Trek has been designed to only function with the BP35 unit. Although the BP35 can be used without the Trek monitor, the Trek cannot relay data on it’s own. Why should I use the BatteryPlus35 and Trek combo over a standard battery charger or voltmeter? 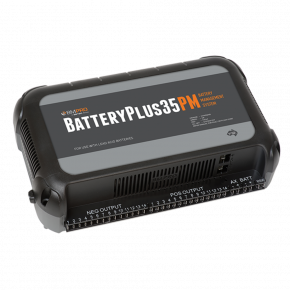 The BP35 and Trek system is a fully integrated Battery Management/Monitoring system. It includes a battery charger, power supply, low voltage disconnect, 12 output distribution board (rated at 10 & 15 amps), built in solar regulator, electronically reset-able fuses, AUX connection (direct connection for Anderson plug), water tank monitoring and battery charging/discharging ratings. 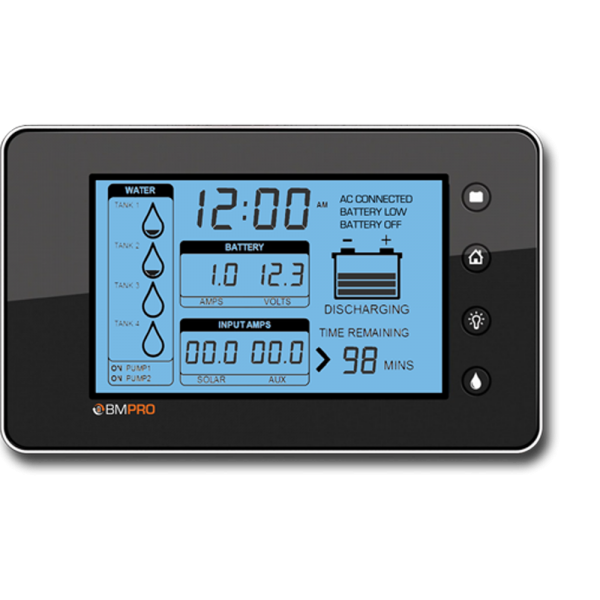 The Trek unit can then display net amps, amps in from solar panels and amps in from AUX input whilst also controlling two water pumps. What size charger is the BP35? How do I connect solar panels to my BP35? The BP35 range has two different solar options. 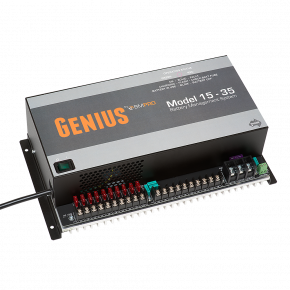 If you have the standard BP35PM Power Management unit it will accept a regulated solar input – this means that the solar panels must use their own regulator before connection the BP35PM. 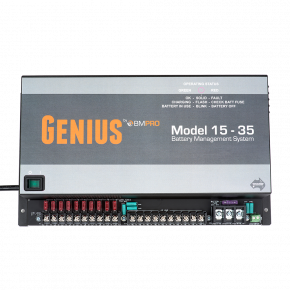 If you have the SR or HA versions of the BP35 then you will be able to connect the solar panels directly to BP35 unit as long as the panels are suitable for 12V and wired correctly to meet the voltage requirements.